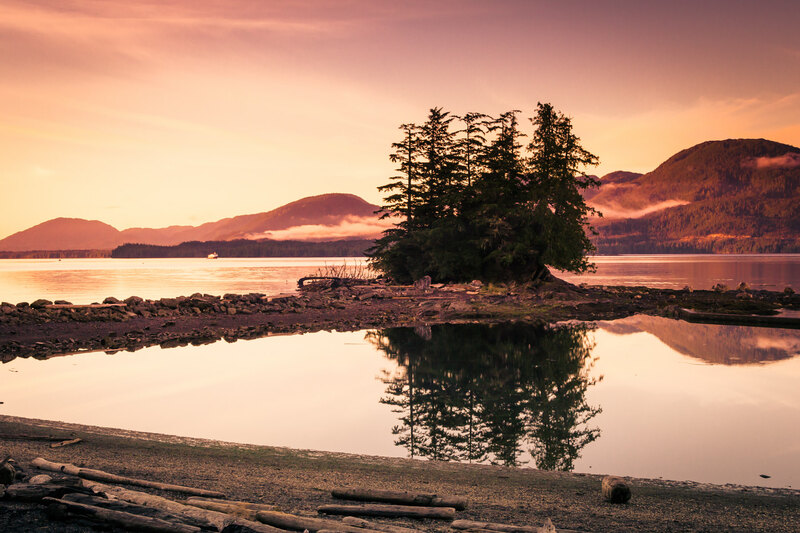 The sun rises over the Tongass Narrows at Ketchikan, Alaska. 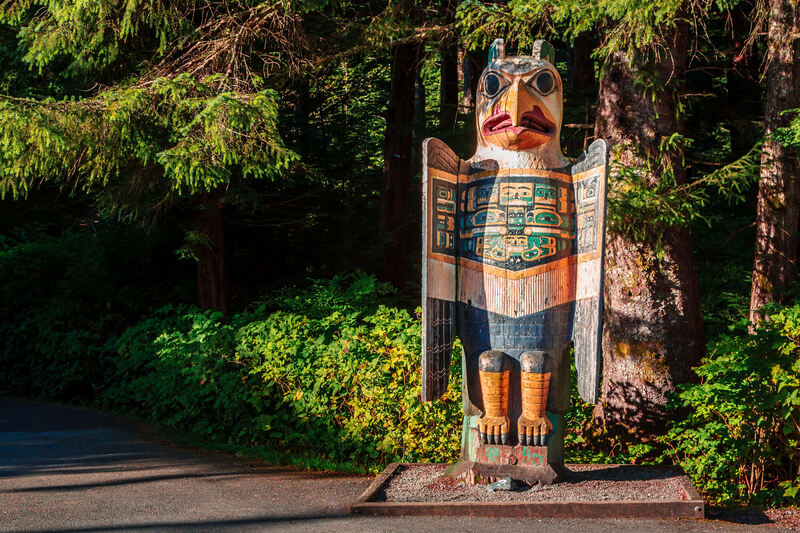 A grave marker totem pole in the shape of an eagle at Totem Bight State Park, Ketchikan, Alaska. 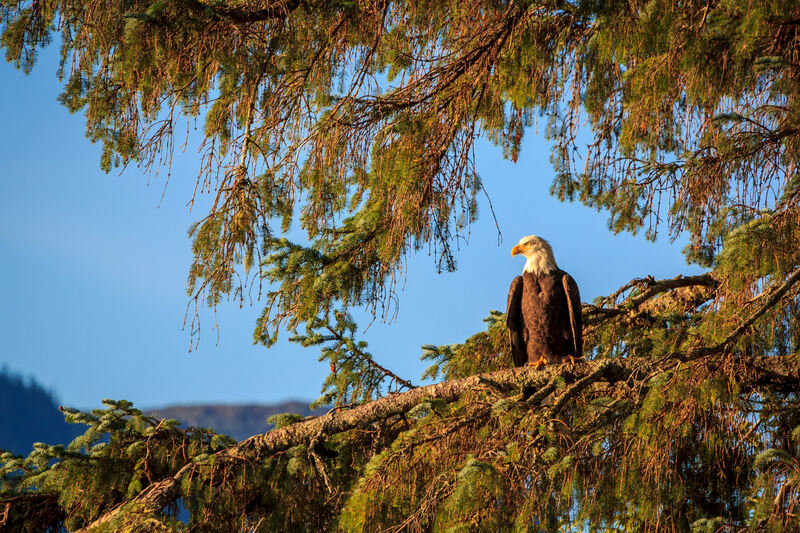 A bald eagle surveys his domain from a treetop in Ketchikan, Alaska.